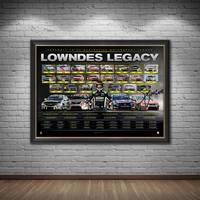 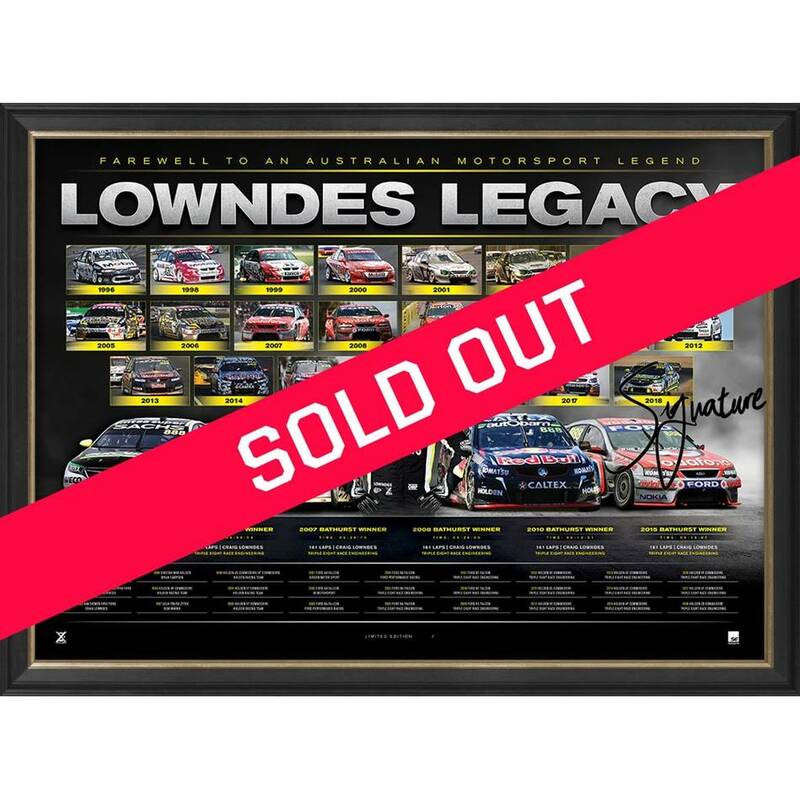 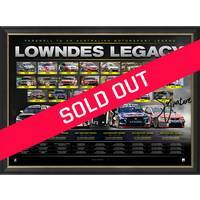 Official Memorabilia, in conjunction with Triple Eight Race Engineering, is proud to release 'Lowndes Legacy'. 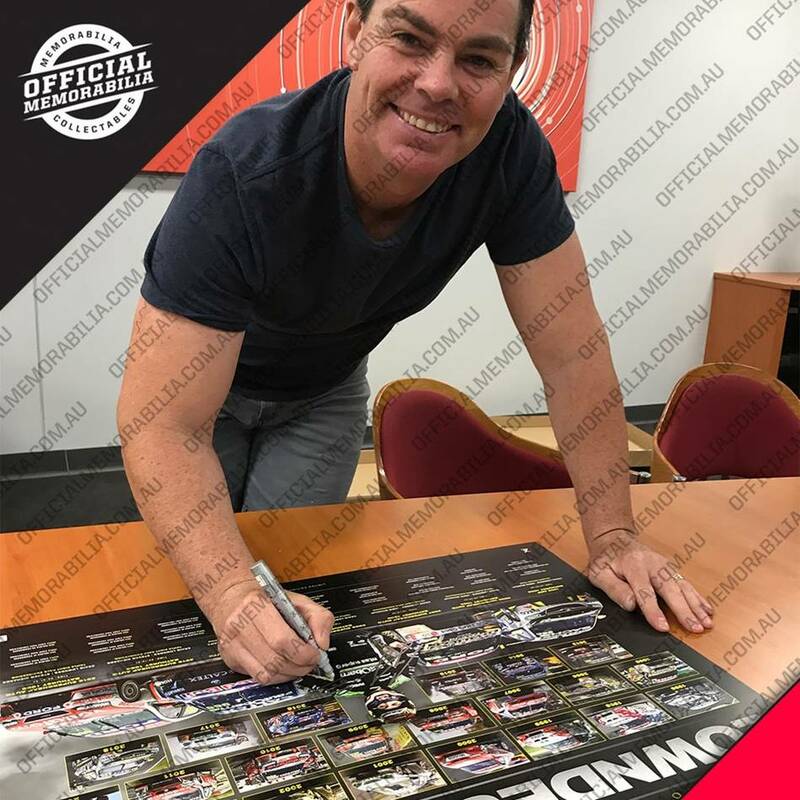 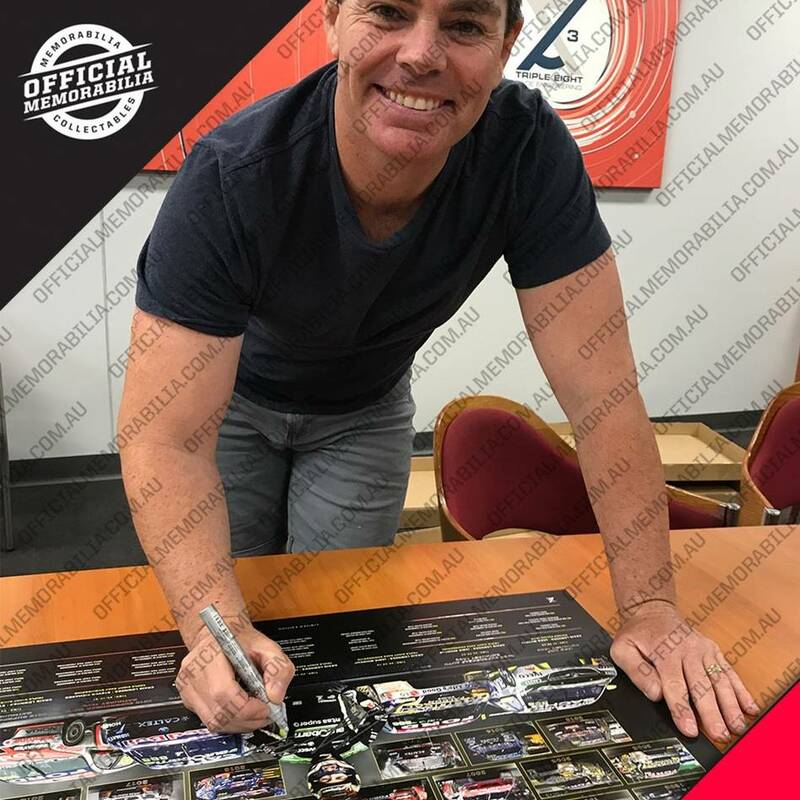 Limited to just 88 editions worldwide, 'Lowndes Legacy' comes personally signed by retiring Motorsport legend Craig Lowndes and is officially licensed and endorsed by Triple Eight Race Engineering. This magnificent piece is a must have for any Craig Lowndes fan or Motorsport enthusiast alike - secure yours before stock runs out!